The previous article was about Carlos Di Sarli, but now let see the origins and discover Osvaldo Fresedo (El Pibe de la Paternal), bandoneonist, composer, conductor and arranger. The young Osvaldo should have work on sales. Fortunately for this article (and for us), he finds a passion for music and bandoneon during a concert in a small bar of Buenos Aires, on Chorroarin and Triunvirato streets. "I knew far later, that the guitarist was Domingo Salerno, the bandoneonist Augusto Berto and the violinist Francisco Canaro". At that time he could not buy his favourite instrument, so he starts with a concertina – kind of small bandoneon with about twenty notes on each side – and create a trio with his brother Emilio at violin and Martin Barreto at guitar. Despite his father’s hope, he skips class to play music and when he finally gathered 60 pesos (what an amount! ), he finally buys his first bandoneon. This is how the impressive career of Osvaldo Fresedo starts, with approximately 1200 recordings. Around 1914, Osvaldo Fresedo write his first tango : El Espiante, which first notes are inspired by the police sirens that use to interrupt his bandoneon studies. This tango was played for the first time at café "La Oración" by Augusto Berto’s orchestra. Later on, Fresedo’s tangos became famous and tango classics. In 1924, El Once! Every year, hospital’s interns organised a dance with an invited orchestra that had to play a tango dedicated to this event. During the 6th edition, they called Fresedo who wrote El Sexto. For the 11th and last year, they called again Fresedo who wrote the famous El Once. 1927 - 1 Maestro, 4 Orchestras! In the 20’s, Osvaldo Fresedo is one of most important tango figures (with Julio De Caro among others). He is much appreciated, including in the aristocratic north district. In 1927, he has so much success, that he creates 4 orchestras to meet the demand growth: the main one (with Fresedo) played at Ta-Ba-Ris and LR9 radio. The second was conducted by Di Sarli. The third, with Alfonso Lacueva, played at "Bar Fresedo" and the last was conducted by the panist Nicolás Vaccaro. 1933, after few travels in Paris and New York and following label Brunswick closure, Fresedo records for RCA Victor: El Espiante, Araca la Cana (1933, and also played in the movie Los Tres Beretines), Tigre Viejo (1934), with stronger rhythm, typical of the early 30’s. We recognize the maestro style – more romantic and delicate – on Vida Mia (1933) composed by Osvaldo and written by his brother Emilio Fresedo. 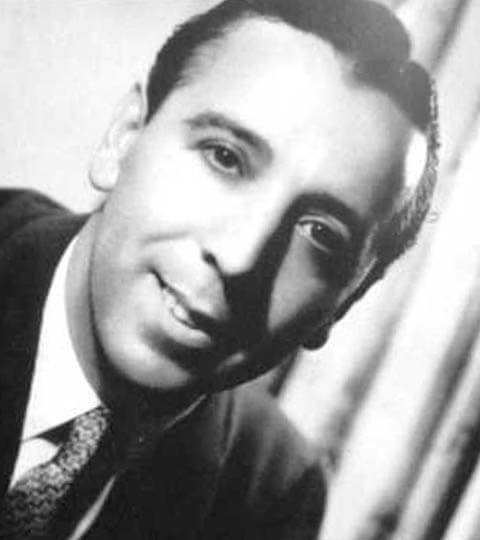 Roberto Ray’s voice is probably the one that best fits the orchestra, especially on Canto de Amor (1934) : Ves, la linda luna que al mirar, vio que molestaba con su luz, y a su cara la cubrió con un tul, blanca nube que nos deja besar. In 1939, Ricardo Ruiz replaces Roberto Ray and shares the place with Carlos Mayel, then Carlos Roldán. During the golden age, Fresedo’ style evolves while keeping his main characteristics. His tangos are more complex, with a slight increase of tempo until 41-42: Volverás, Si no me engaña el corazón (1939), Alas (1940), Buscándote (1941). In the middle of the 40’s, Fresedo inaugurates "Rendez-Vous", his own club, and reduces his concerts in other cabarets. In 1947, Oscar Serpa leaves the place to Osvaldo Cordó and Roberto Ray: Y la perdí (1948), Tu piel de jazmín (1950). From 1950, Fresedo switches to Columbia label and works with Armando Garrido and Hector Pacheco, among other excellent singers. Fresedo also records in live 4 incredible pieces with the very famous trumpet player and jazzman Dizzy Gillespie: Vida Mía, Adiós Muchachos, Preludio n°3, Capricho de Amor. Osvaldo Fresedo keeps recording until 1980, and concludes a tango career of more than 60 years without interruption. He lefts at 87 years old. In addition to the several shows and recordings, Osvaldo Fresedo also contributed to the copyrights as president of the Argentinean association for authors and composers. In 1936, he merged it with El Círculo de Autores y Compositores de Música managed by Francisco Canaro, to create the SADAIC (still existing today). He also protects the interpreters by creating the Corporación Musical Argentina. Osvaldo Fresedo style can be clearly identified by its tone and the instruments he uses. While tango was a popular music from neighborhoods, Fresedo also involved the higher social classes with his clean, romantic and delicate style. The violins were at the forefront, sitting in front of the bandoneons (usually it is the opposite). "Despite the fact I am a bandoneonist myself, I always put a lot of strings on the stage." Osvaldo Fresedo orchestra fits quite well to Tango Salón and offers an avant-gardist sounding with unusual instruments (for this musical style). The vibraphone is well integrated in the orchestra and finalize musical phrases with few hovering notes (as Carlos Di Sarli also does at piano); same idea is then also used by Florindo Sassone. There are also drums, used without excess on some key parts or to sustain the compás. Finally the arpeggios at harp – the feminine touch – invites to romance and imagination. Like Di Sarli, solos are very rare: "The magic is not in the virtuosity, useful to soloists, but the whole orchestra that reaches someone soul." Unusual instruments: harp, vibraphone, drums. His style Son style languid, romantic, delicate. Violins and melody at the forefront. The lack of solos in general, at the benefit of the whole orchestra.